Not Thomas-related, but I thought this would be fun to share. REAL Slip Coaches in action. Now that was an interesting video! I always wanted to see real slip coaches in action and it was great to see that in the video. It's clear that Duck and the Slip Coaches was clearly one of the most well-received episodes of all time. It was not only great to see Duck and James' personalities working off with one another, but the fact that we had something that played a role in railway history. The slip coaches themselves look like characters that came straight from the railway series. It might be too early to say this, but maybe in the next year or so I can definitely see the slip coaches finding their way to the future prediction lists in the future. Especially considering how Duck is still one of the most popular sellers in the range. Even if they just made one of them, that wouldn't stop fans from buying three of them. At least I know it wouldn't stop me! Even if they just made one of them, that wouldn't stop fans from buying three of them. I think they'd have to make two: one male, and one female, since there are two male Slip Coaches, and one female Slip Coach. 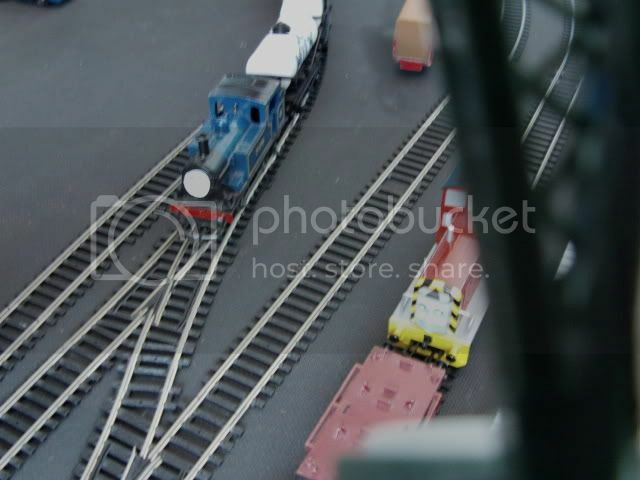 Also, am I the only one who keeps think of Alice and Mirabel from the RWS when I see the Slip Coaches? Considering that no other toy ranges like Wooden Railway and Take-n-Play haven't released them. Bachmann could set a benchmark here, as they would with a Large Scale Henrietta with a face. Hello everyone! It's been quite some time since I've made an appearance here! I've been away studying in New York City all summer, and I'm currently on my fall break before I head back. In my spare time at home (resulting from a nasty case of a tonsillitis or a similar infection), I threw this little...teaser...video together. I hope you enjoy it; it was so fun making a video for the first time in forever! I tell you this all the time, but I really love your vids! I don't understand what this Disscussion us about. Please explain to me what 'The Everything Thomas Thread' is used for? Celebration Thomas and the Mail Car - Green both look fantastic. I wonder the Narrow Gauge products come in that plastic box and not the usual blister pack. I don't like the red on the Narrow Gauge Box Van - Red. I was hoping it would look like how it to does in the Catalog. Oh, dear. The narrow gauge products will come in a small plastic box just like the Peco range. They will not be in the standard blister packaging like the other HO Thomas models. ^ Above 1 Reply - @Reply #55 By Chaz: Do you know why the Narrow Gauge won't come in the blister packs? Probably has something to do with how the Skarloey stock so far have been Peco repaints, minus the brakepipes. Either way, I think it's a good thing that the narrow gauge products are packaged this way as opposed to the blister packaging. I've taken my peco stock out of their boxes and I can actually reuse them. I can't say the same for the blister packaging. Does anybody know why Skarleoy's body piece is made of metal and not plastic? I did that a bit odd for a Model Railway Locomotive to be made of metal. As for Celebration Thomas, he looks fantastic but I think I would prefer it better if he had his paintwork as a metallic light blue, like the prototype picture shows, rather than a darker metallic blue paintwork. And last but not least, is the Mail Car - Green. I have no faults with the model in this one as it looks perfect. Only thing that I could cogs fe is the name if it. Who has seen a Green Mail Car / Coach before?! I haven't! The colour for the Mail has always been tradionally red, not green, so really this is a Utility Wagon rather than a Mail Car / Coach. Has anyone managed to find any reference in the show to the Green 'mail' car? I've never seen one and I don't get why Bachmann would release a totally fictional car that doesn't exist in the TV show. I think the Mail Car - Green is supposed to be a Green Utility Wagon, rather than something the Mail is put in. Bachmann have probably just called it 'Mail Car' for selling purposes to help it sell to the public. I expect calling it a Mail Car rather a Utility Wagon will make it more attractive to people to buy. This probably what Bachmann was doing hear calling it a Mail Car. Actually, here in the UK at least, most bodies or running plates are starting to be made of metal - it adds much-needed weight to the models, which helps it grip the track. A model of an engine like Skarloey wouldn't be able to pull anything if it had a plastic-mould body, as it would be too light. Steam, Diesel? It's All The Same.